A cush home office is really important to me, as I work mostly from home. 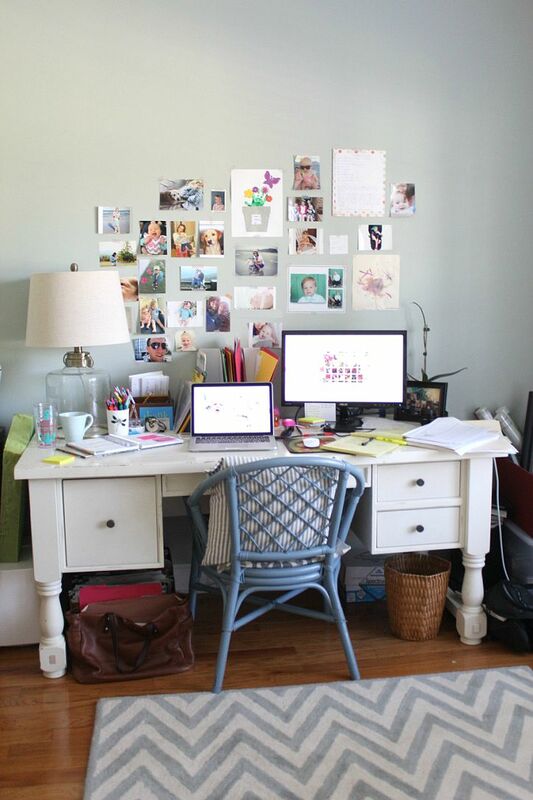 If I'm going to spend 20-30 hours in a room each week, I want it to look goooood, amIright? So while I really like my current set up, I'm ready to make a few changes to my at home office space so that I love it. Here's my to do list. 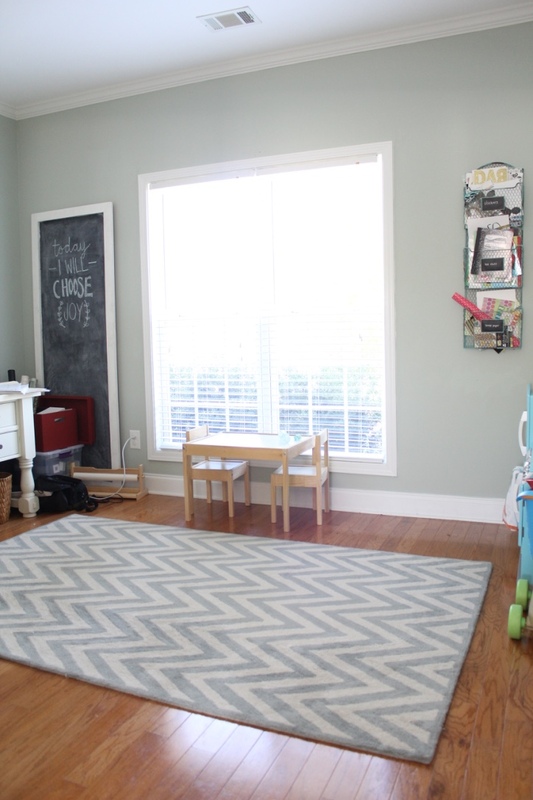 Replace the chevron rug with a rug that fits the room. This too-small rug is super cute (I know chevron is soooo 2013 yet I still love it), but the too-small size (5x7) drives me craaaazy. Every time I scoot my desk chair back to stand up from the desk, the chair hits the edge of the rug and curls up. Ugh! This room needs an 8x10. Update the desk chair situation. While I still love my bamboo chair, it's time for a more grown up situation. If you follow me on Instagram, you got a peek at my new find! Install new art over the desk. My makeshift washi tape + photo gallery wall is cute, but I'm ready for something a bit more clean and sophisticated. I want something that inspires me every time I look up! Rearrange the furniture in the room. 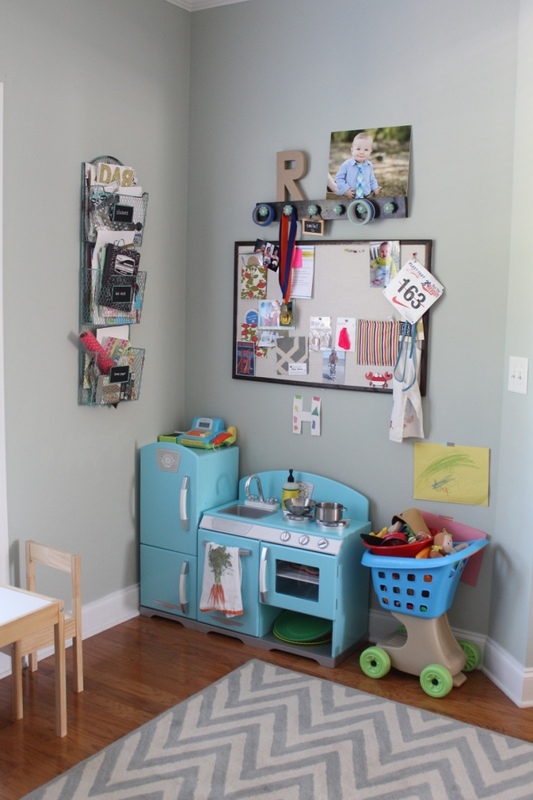 A small part of the room is dedicated to the kids' play kitchen and play table. 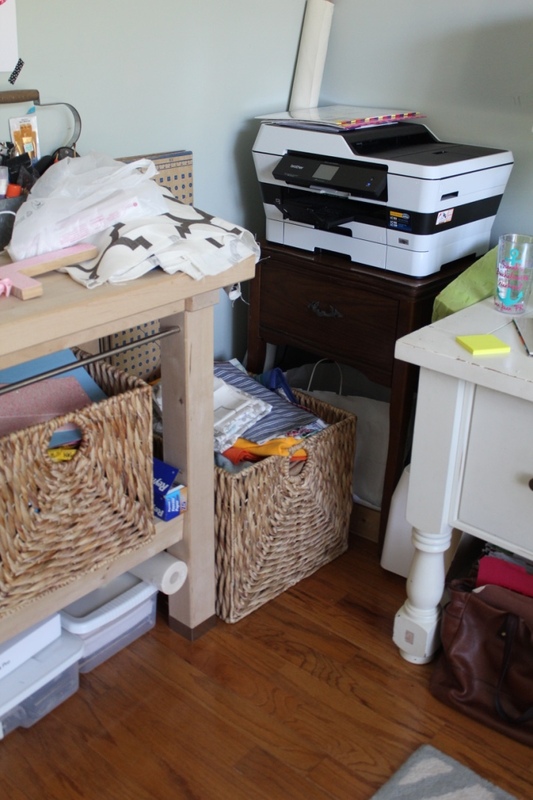 I want to move that and my craft table (which clearly needs to be organized!) 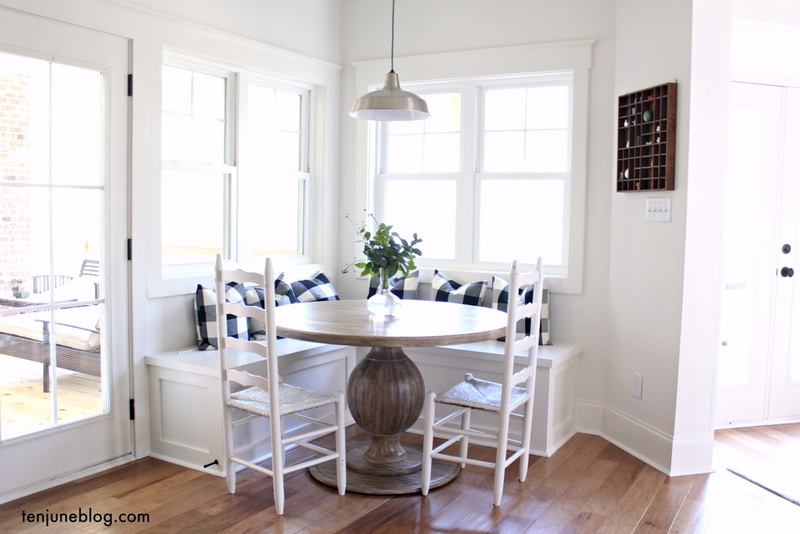 around and play with the furniture and room layout. Those are the main items on my list. I think these small little tweaks will make a big difference, don't you? Maybe I'll also add in a few things like: trash dead orchid (sorry, Sarah!) and straighten up paperwork, but let's not get ahead of ourselves!